Each variable is provided with an axis that starts from the centre. All axes are arranged radially, with equal distances between each other, while maintaining the same scale between all axes…Each variable value is plotted along its individual axis and all the variables in a dataset and connected together to form a polygon. Okay, so how about an example. I recently took an online personality test on https://www.arealme.com. The test provided me with results in a radar chart, as follows. As you can see, each of the eight personality attributes has its own axis and is measured on the same scale, 0-100%, exactly as noted in the definition above. Of course, radar charts have limitations. If you have too many different attributes, they can be very difficult to read. And they aren’t great if you are looking for precise comparisons between different attributes. For instance, in my personality test, it’s pretty difficult to tell the difference in the Feeling and Judging attributes. If you need exact precision, then you’d be better off using a simple bar chart. But there are times when a radar chart can be a great way to provide an overall picture of multiple attributes. As always, be sure to think through your data and your use case before using this chart. The grey background was created within Tableau, exported as an image, then brought back into Tableau as a background image. While this includes a few extra steps, it worked well enough and met the user’s needs, so I was satisfied and moved on. A short time after answering that forum question, I saw a post from a gentleman named Nigel Shaw, who, inspired by my original post, enhanced the method for creating the background image. 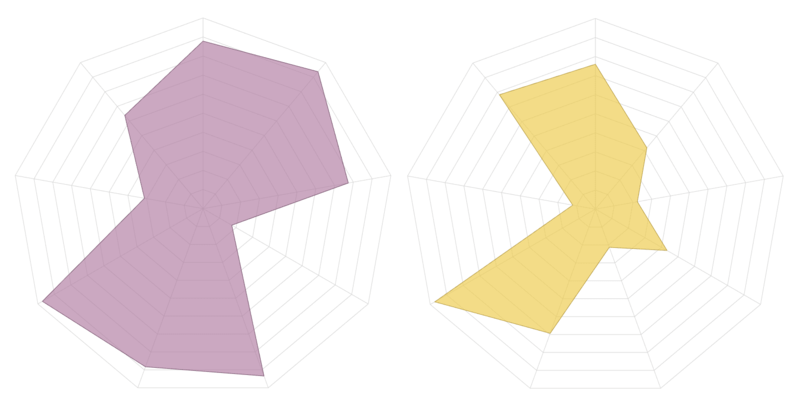 At that point, I decided that it would be good to create a simple template for radar charts. But, as I thought about it, I just wasn’t happy with the requirement of creating a separate background image. I wanted to create something that was more dynamic—able to handle any number of different attributes without needing to create a custom background image. This could be done by drawing the background as polygons then the foreground also as polygons, but I didn’t care for that solution because the background would be clickable. That, in my opinion, would be worse than using a background image. So, I sat on the idea for a little while…until 2018.3 was released and I realized that the new version had a couple of features that would allow me to address all the flaws of the original approach. The resulting radar chart (I’ll share details on a template shortly) consists of two sheets. The first, background, uses trigonometry and a bit of data scaffolding to draw the radar background. Using the approach from Nigel Shaw I mentioned earlier, we actually draw separate polygons for each axis so that we can have the “spokes” from the center to each edge. In addition, I'm drawing multiple polygons in order to create the grid lines. Note: While these look like lines, these are actually polygons. This allows you to change the color of the background if desired (like the earlier example above which had a grey background). In the case below, I've changed the polygons to be the same color as the background and set up a line color to make it look like lines. Note: I’m not going to go into detail about the calculations or the math, but feel free to download the workbook if you would like to explore them further. I’ve commented all the calculations to make them easier to understand. And, if you need a refresher on trig, see Beyond Show Me: Trigonometry. The second, Foreground, draws the actual radar polygon itself. Like the background, it leverages trigonometry to draw the polygon. Notice that, as we change the filters to add in more attributes, the background polygon automatically adjusts. 1) Autoscale – Maximize the size of the radar so that it uses as much screen space as possible. 2) % of Total – Size the radar based on percentage of total. 3) Manual – Allows you to adjust the scale % manually so that it will be somewhere in between Autoscale and % of Total. If you choose this option, you’ll need to use the Scale parameter to adjust the percentage. 4) Static – Will set a static scale. If you choose this option, you’ll need to set the static scale using the Static Scale parameter. In the case of a 0 to 100% scale, you’d set this to 1. I’ve also provided the option to show labels for each spoke of the radar. To do this, simply change the Show Labels parameter to True. Additionally, I've provided the ability to change the number of "grid lines" to show. Using the Grid Lines parameter, you can adjust it to show anything from 1, which would just be the outside line, to 10 lines. 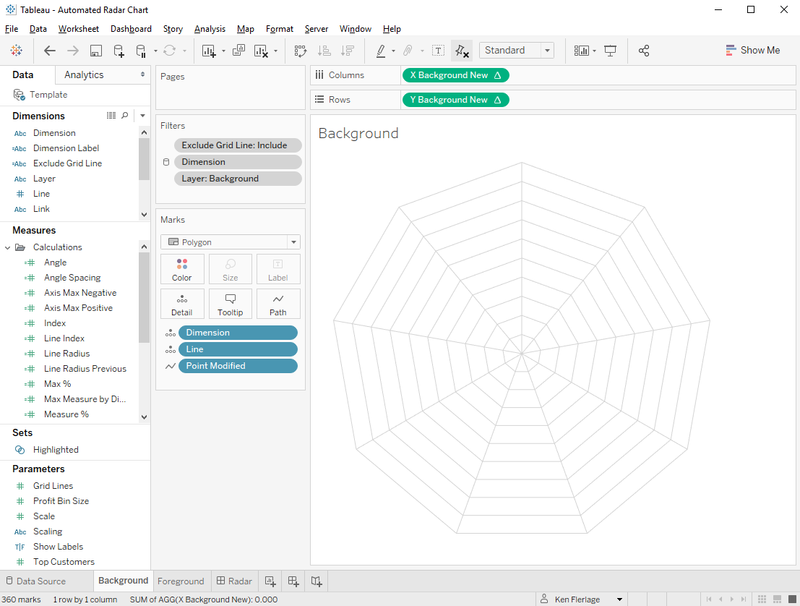 Finally, one of the biggest problems with radar charts in Tableau is that interaction and tooltips can be a bit of a problem because you are never quite sure which “point” of the polygon you are hovering over. 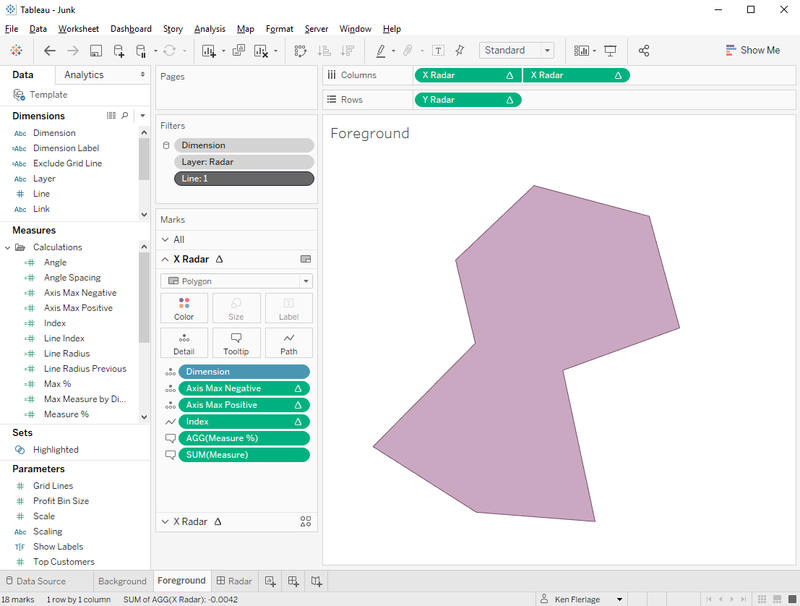 When interacting with a polygon in Tableau, it will choose the polygon point that is nearest your cursor, which is not always obvious to your user. Take the following, for instance. Can you tell which of the polygon points is closest to the cursor? So, to address this problem, I’ve leveraged another 2018.3 feature, set actions, to highlight the point on which you’re hovering. So, instead of the above which leaves your user guessing, you’ll now get a small dot on the point, which provides a subtle indicator of which attribute’s information is being displayed. Now that we have all those details out of the way, let me quickly run through the template. Like my other templates, it consists of two components—an Excel spreadsheet and a Tableau workbook, designed to make it as easy as possible to plug in your own data. The Excel spreadsheet (you can find it here) has three sheets: Data, Model, and Grid Model. Grid Model contains two rows, which create the basic data scaffold needed to draw the grid lines. But, you need not worry about how it works. You won’t need to modify it—just make sure it’s in your spreadsheet. Model contains four rows, which create the basic data scaffold needed to draw our polygons. Like Grid Model, you need not worry about it—just make sure it’s in your spreadsheet. Link – The purpose of this column is simply to join each row in the Model sheet to each row in Data sheet for the purpose of creating the polygons. But don’t worry too much about this. You simply need to make sure that every row has a value of “Link” in this column. Note: Strictly speaking, we could use a join calculation in Tableau to join these sheets together, but for simplicity sake, I often like to include a separate column in my data set. Dimension – The dimension or attribute. For example, personality attribute. Measure – The measure being visualized. 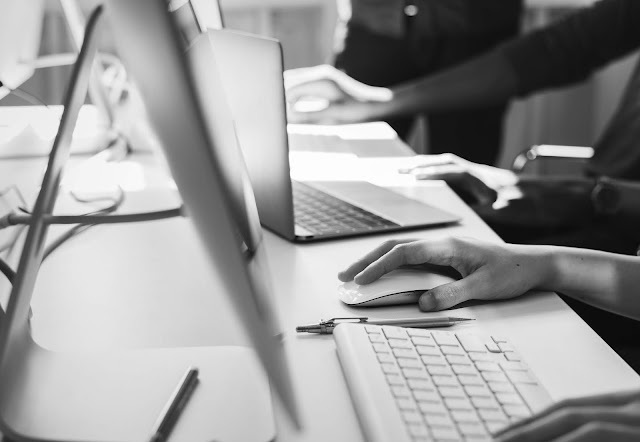 Once you have populated your data, you’ll need to connect it to Tableau. Start by downloading the Radar Template Workbook from my Tableau Public page. Then edit the data source and connect it to your Excel spreadsheet. The workbook should update automatically to reflect your data. From there, you can do whatever you like with the chart—change the colors, add filters, update tooltips, etc. just as you normally would. And that’s all there is to it. 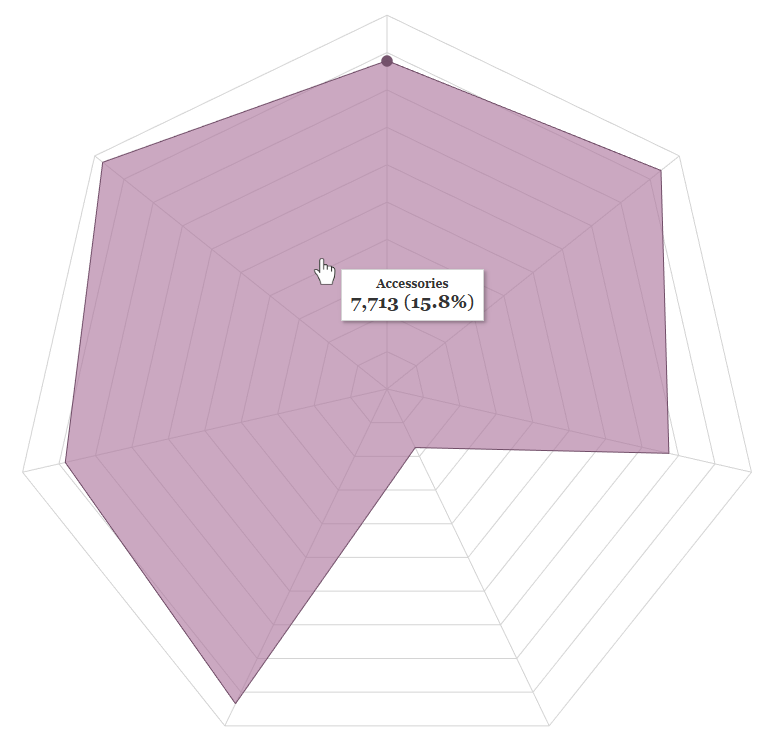 If you use this template to create your own radar chart, I’d love to see it. But please don’t create one simply because you can. Be sure to closely scrutinize your use case and make sure it’s the right chart type first. 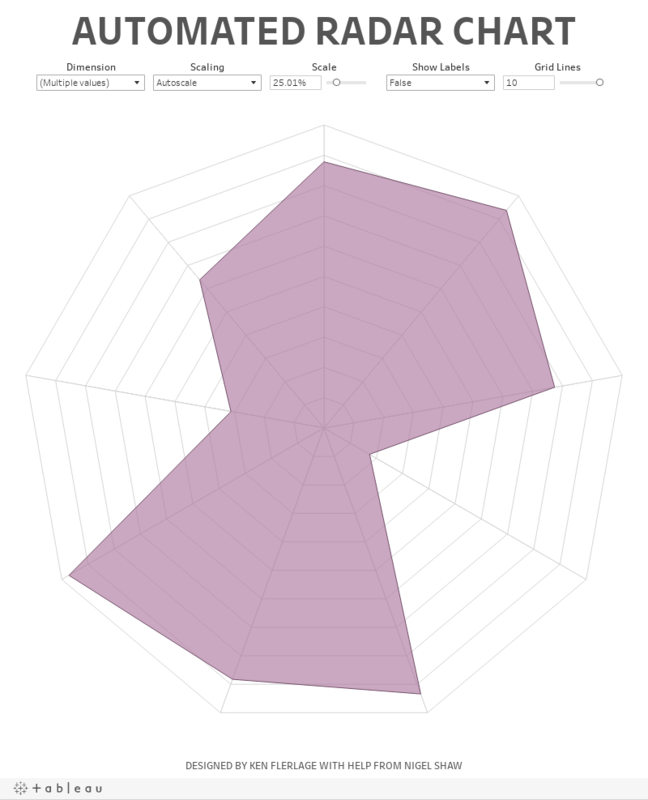 Note: The Data School's Ellen Blackburn just recently posted a fantastic blog, which I highly encourage you to check out: A Simple Way to Make a Radar Chart. It goes into detail about the calculations and trigonometry.